TRUSST® is comprised of modular aluminum components that combine to create nearly limitless configurations. A TUV-certified stick of truss measuring 0.75 meters (2.46 ft) for a multitude of applications when used in combination with TRUSST® Corners, Base Plates, Accessories and Clamps. 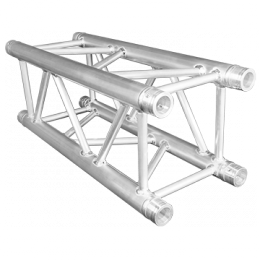 TRUSST® CT-290 series 290 mm box truss is available in a variety of lengths from 0.25 m to 3 m (0.8 – 9.84 ft) to suit most design demands. All TRUSST® sticks are TUV certified and all TRUSST® items are fabricated by SLV certified welders and made from 6082-T6 alloy aluminum. 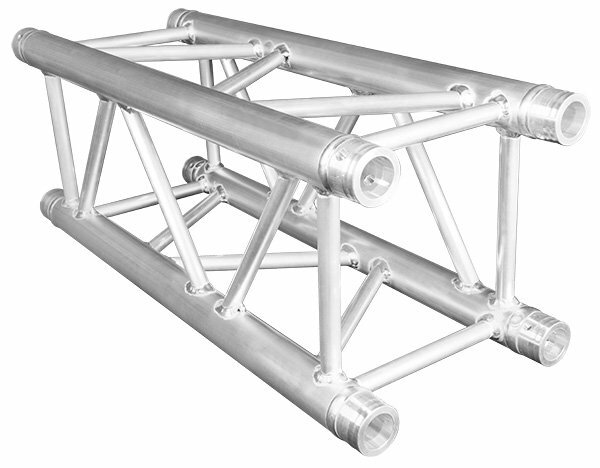 TRUSST® products use a standard conical connection system which allows for quick assembly while maintaining sound structural stability. TRUSST® works seamlessly with other major brands that utilize the same conical connection.